I’ve blogged about Vim before, little did I know that the man behind the open source editor also runs a charity. ICCF Holland’s Bram Molenaar just came back from a trip to Uganda, where the NGO set up a clinic and a school for the people of Kibaale. Kibaale itself is a town in the poor southern region of the East African state, known to suffer from the highest HIV infection rate in the world. With parents dying of AIDS, children are often left to themselves. That’s why the ICCF Kibaale Childrens Centre< pays for their school fees, provides medical aid and most of all tries to help them grow up. The new clinic has become very popular, so popular in fact that Bram is in desperate need of money for medicine, salaries and equipment. 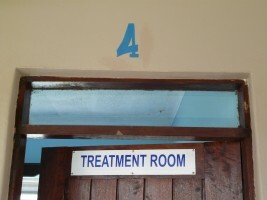 If you want to help, you can sponsor a room at the clinic, either by a one-time donation or a monthly subscription. 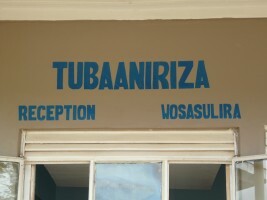 In 2008 the new clinic building has been built and opened by Janet Museveni. I went to visit it the first day and was very impressed. There are more than twice as many rooms as we had before, and they are all being used. In two of them patients are on drip. This is used to give strength to those who are weakened by a disease, often malaria. 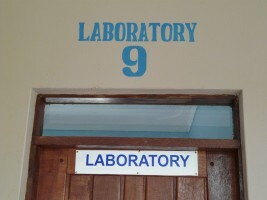 In the lab blood is taken from a man to be tested for HIV. 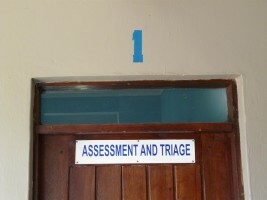 When he gets the results later, a counsellor is there to help him cope with the consequences when the test turns out positive. About a dozen others are in line for a lab test.